Red Ribbon Bling Swarovski Crystal iPhone XS and MAX iPhone XR Case - Black is handcrafted which make this the most luxury and prestige product. Every single pattern is a collaboration between our designers and craftsman. You will not find an identical case as yours even for the same pattern as they are all hand made. This item was very beautiful.If anyone out there thinking about purchasing this don't wait it is very pretty. Its big but its Simply Beautiful. You won't be Disappointed!! Easy Fast Shipping Great Case! 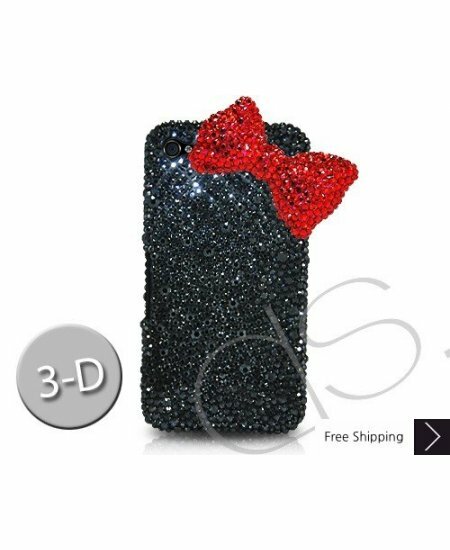 I really like this case and it looks just like the description. Very cute! I received it in a few days and when I opened the package I was even given extra rhinestones!! I really love this case! Great purchase! Very beautiful case. Great price and quite durable considering all of the delicate rhinestones. I get so many compliments on this case!